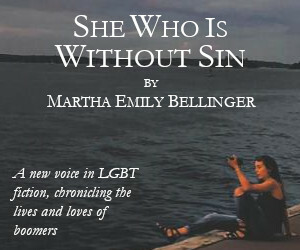 Spotlight on New Queer Literature is a monthly series highlighting publications that are LGBTQIA owned, promote queer and trans writers, or publish work on LGBTQIA themes, seeking to connect Lambda’s readership with contemporary queer publishers and authors. 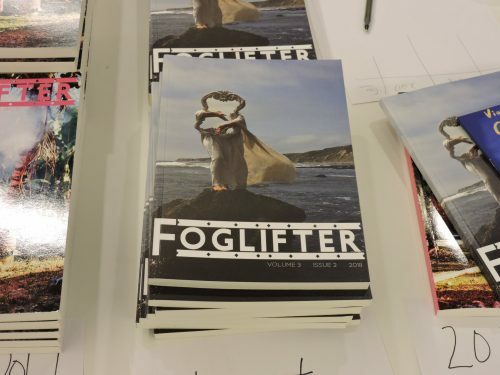 This month, Lambda spoke with Luiza Flynn-Goodlett, editor-in-chief of Foglifter, about highlighting marginalized voices, the launch of Foglifter‘s press, and the journal’s involvement in the Bay Area community. Tell us a little bit about Foglifter and its mission. Queer writing has shaped the Bay for as long as it has been a place where queer folk flock to find each other. Foglifter aims to continue this tradition by amplifying the voices of queer writers in San Francisco and beyond. We uplift those who challenge and complicate the literary conversation, whether through subject matter, form, or technique. By “eyeing the margins,” we hope to shift the larger literary conversation toward vital, animating questions of politics, identity, and embodiment, all while prying open the literary conversation to voices that have traditionally been minimized or silenced. Foglifter is filling a void in the literary landscape by prioritizing LGBTQ writers with an emphasis on women writers and writers of color. Foglifter‘s commitment to underserved queer writers and readers is deeply rooted in our individual identities as marginalized queer writers and readers. The space of freedom and possibility within the pages of our journal is a direct response to our own ongoing experiences of minimization and tokenization within the broader writing community. And, in the current political climate, we believe the queer voices we champion need to be read and heard more than ever. How long has Foglifter been around? How has it developed or changed since it began? When our founding editors Chad Koch and Miah Jeffra met in 2012 while serving as editors for San Francisco State University’s literary journal, Fourteen Hills, alongside community outreach coordinator Tara Rose, they discussed the need for a journal run by queer writers devoted to queer content that would “eye the margins” and seek to publish more women and people of color. Then, Miah met board member Celeste Chan and Development Director and poetry editor Lisa Galloway at the 2014 Lambda Writers Retreat for Emerging LGBTQ Voices—and the community of Foglifter was born! We began hosting events and soliciting work in early 2015, and released our first issue in the spring of 2016. One of Foglifter‘s biggest transformations has been the recent launching of our press arm, which publishes anthologies and chapbooks (and, hopefully, much more in the future!) In early 2018, the Queer Ancestors Project—which builds community by providing queer and trans artists, age 18 to 26, free workshops in printmaking and writing—reached out to us to publish an anthology. Passionate about giving voice to queer youth, our staff jumped at the chance and launched Foglifter‘s book publishing program with their first anthology, Tender, and we’re working on their second now! In 2017, we were approached by Radar Productions to co-sponsor Lucha Libro—”the Bay Area’s first literary wrestling competition”—and to publish the QPOC winner’s chapbook. 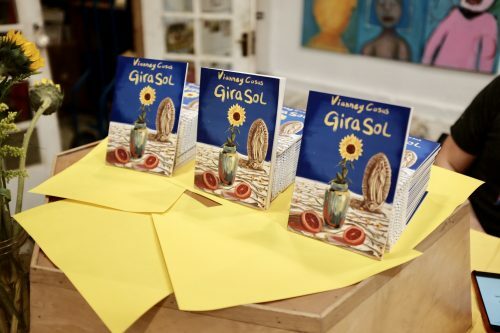 So, in November, we released Girasol, a bilingual poetry chapbook by Vianney Casas, a queer woman of color who was born in San Diego but raised in Tijuana. Additionally, in October 2018, we were contacted by Still Here—”an annual multidisciplinary performance that reveals the experiences of Queer/LGBTQI individuals raised in San Francisco and still living in San Francisco/Bay Area”—to publish their anthology. And we’re thrilled to support Still Here in nurturing the vibrant, resilient queer, POC community of San Francisco. 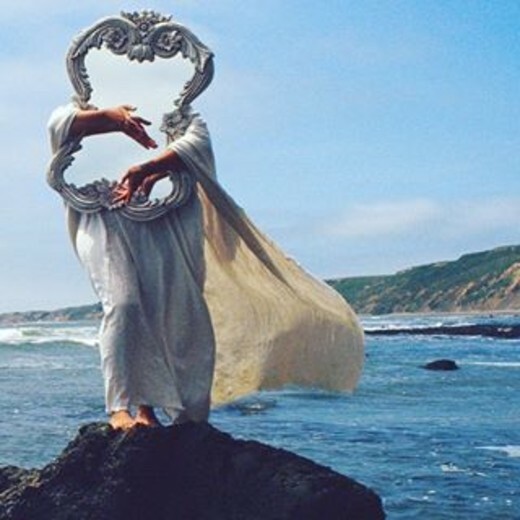 These book projects have further rooted Foglifter in the incredible queer literary community of the Bay area, but the core of our press will always be the biannual journal lovingly compiled by our team of queer editors. As queer writers ourselves, we’re constantly inspired and invigorated by the writers and writing we encounter through Foglifter. It’s a joy to be present at such an incredible, dynamic moment of queer art and expression—and we consider ourselves lucky to be a small part of it! Foglifter welcomes daring and thoughtful queer work, in all forms. We have dedicated managing editors for hybrid, as well as poetry and prose. But we’re also excited about comics, visual art—pretty much anything queers make, we want to publish it. How would you describe Foglifter‘s aesthetic? Foglifter‘s aesthetic is as varied and diverse as our editors and readers (which rotate each submission period and are frequently drawn from previous contributors). We’re a decidedly democratic organization, and each genre group is attracted to different things depending on who is participating in the conversation around that issue. Of course, we encourage anyone thinking of submitting to read our past issues, which are available for sale on our website as well. Can you highlight some of the work Foglifter publishes? It was really hard to narrow down, but the first example we chose is “Through a Philip Glass Darkly” by Adam Zane Cook. Our prose falls on a spectrum from queer in structure to queer in content, but our favorites are both. This story uses remix and repetition to explore the relationship between the speaker and their father. It’s specific and technically ambitious; and, by the end, we’ve gained a deep understanding of their relationship, the growth and love that exists despite and alongside the father’s tick. The second example we chose is a hybrid work, “Morning Raga” by Kazim Ali, which takes the architecture of nature and applies it to personal relationships. Ali knows how to navigate the craft of prose while very much living the craft of poetry; he doesn’t privilege either, but allows them to gently intertwine, like waves washing over a sandy beach. This piece serves as a beautiful, intricate testament to the vast possibilities of the hybrid form. And finally, we chose Kristin Chang’s poem, “Ode to intestines,” which typifies Chang’s razor-sharp, all-encompassing lyricism and breathless pacing. 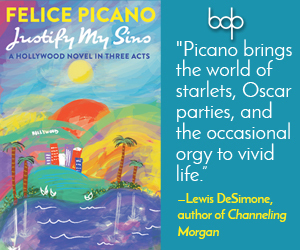 It’s a thrilling example of a queer writer using words to remake the world, a celebration of the abject and bodily, a rejection of familial duty and religious piety, and a radical reimagining of Revelations. What would you like writers and artists interested in submitting to Foglifter to know? Foglifter is a celebration of queer writing in all its cacophonous glory. Our issues aren’t themed, but we find that the pieces speak to each other in beautiful and surprising ways. We delight in the strange and transgressive, the tender and brutal—whatever queer identity and experience means to you. We want the pieces you’re afraid to let the straights read, what you hesitate to send out to mainstream journals. Foglifter is the place for that work, and for you! How can I get a copy of Foglifter and/or submit work? My trans son and I wrote a book together about our journey. We are also self published. I wanted to get in contact with whomever on your staff may enjoy receiving and reading a copy.